The Lord Supreme himself took birth to Dharmadev and Bhaktimata in Chappaiya in Samvat 1837 (2nd April 1781 AD) at 10.10 pm. In Bhagwat Gita Lord Krishna says to Arjun "When dharma (righteousness) is suppressed and Adharma (non righteousness) prevails, I will take birth upon this earth. 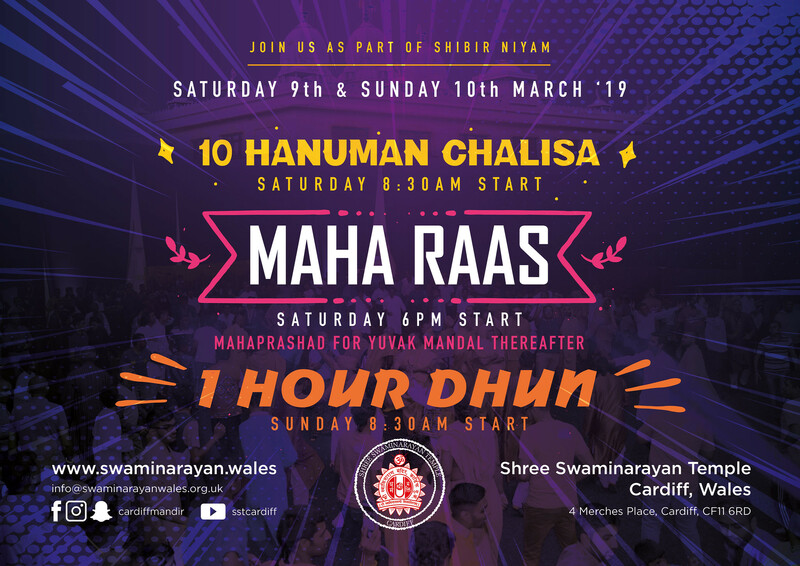 I will come in order to offer salvation to mankind, destroy that which is evil and also to establish Bhagwad dharma (Practice of Religion in accordance with Vedas and Purans), upon this earth. I will incarnate in all four yugas (epochs of time) i.e. Satya, Treta, Dwarpa and Kali." In His childhood he exhibited his wisdom and superhuman powers and many miraculous deeds. He mastered the Vedas and other Holy Scriptures and challenged great Scholars. He earned various names such as Shri Hari, Shri Hari Krishna, Ghanshyam, Nilkanth and others. He served His parents up to their death and gave them Moksha. He left home at the age of eleven for a seven-year pilgrimage of India. He was declared by Ramanand Swami has the successor to the Uddhav Sampradaya. He initiated many great Nand Santo's. He established splendid temples such Ahmedabad, Vadtal and Bhuj installing various murtis Himself. He established two Dioceses and appointed His two descendants (adopted sons) as their Acharya's and advised His followers to abide by their respective Acharaya's. He stopped the practice of 'Sati', whereby a widow would burn herself on the funeral pyre of her husband. He supported full freedom for Women, thereby starting the practice of Women Saints. He wrote the "Shikshapatri", a jewel amongst all other scriptures, for the spiritual welfare of every soul. 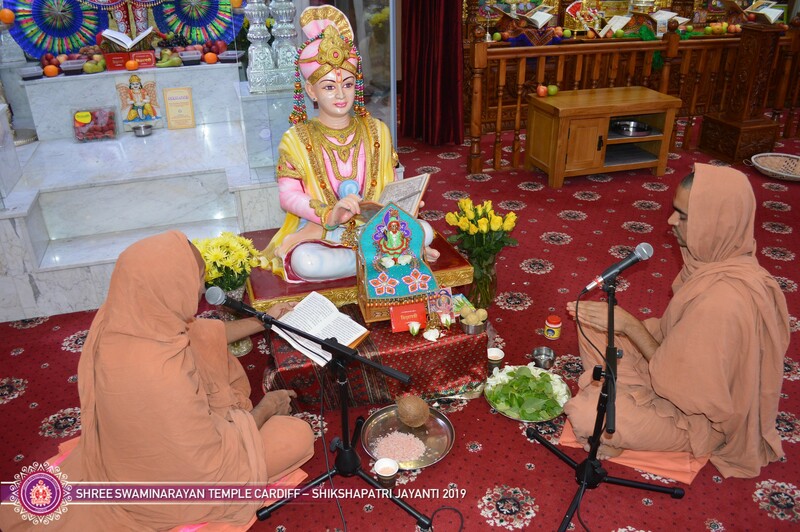 He inspired His Nand Sant's to write several other scriptures, namely Vachanamrut, Satsanghi Jivan, Bhaktachintamani and others in addition to thousands of poetic verses (kirtans). 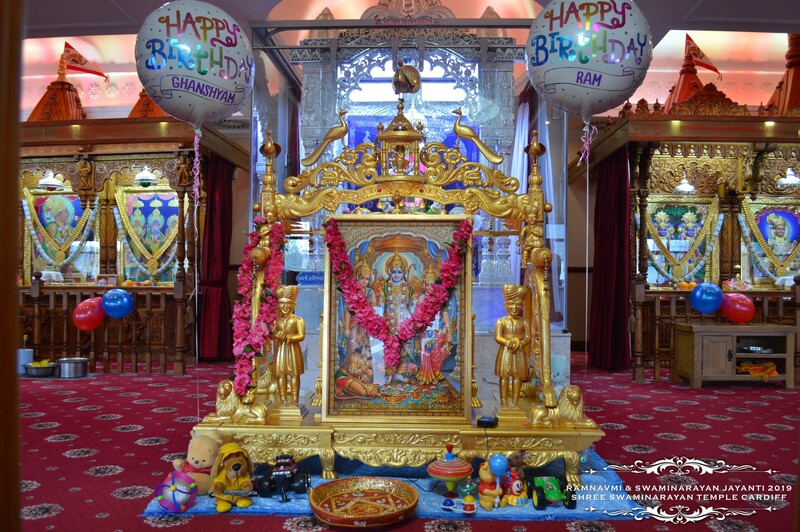 Purna Purshottam Swaminarayan Bhagwan left his Mortal body for Akshardham on Jeth Sud 10 Samvat 1886 at Gadhada at the age of 49. He remains manifested today in the Scriptures, Saints and Murtis that He Himself installed; in the Acharayas of the two diocese and also in the Mandirs where the Acharayas have performed Pranpratishta. 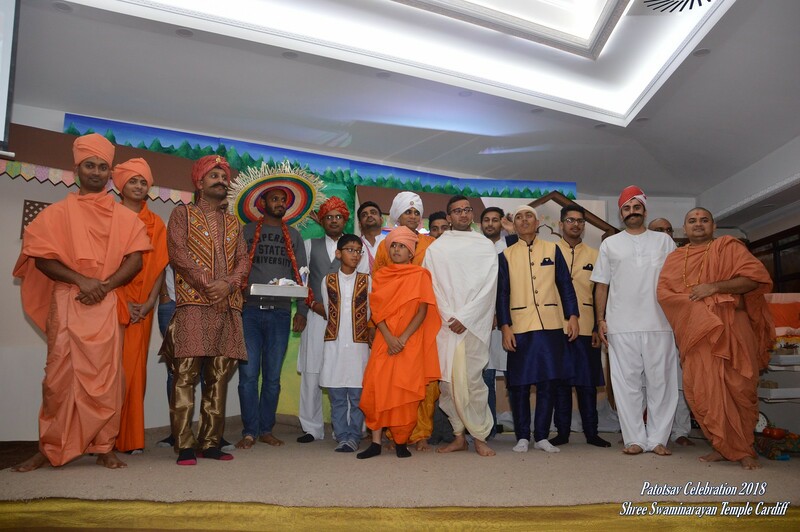 The teachings of Lord Swaminarayan eradicated the evil within oneself and showed the true path to ultimate salvation. He achieved this by living a life of celibacy and upholding the dharma of non-violence. 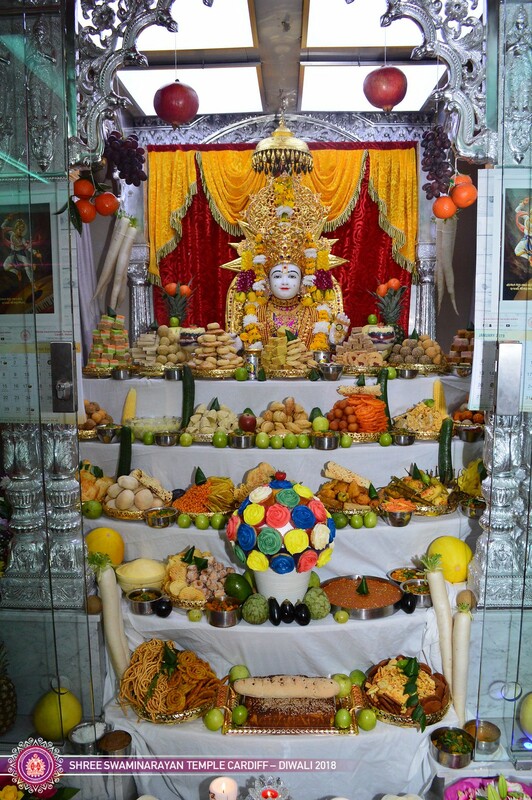 On this day like other major festivals within Swaminarayan Sampraday the rules of fasting are observed. Many satsangis would fast for the whole day. Others would only eat 'farahar' after the birth of Lord Swaminarayan having been to the temple and those who cannot manage the previous two would eat farara during the day. 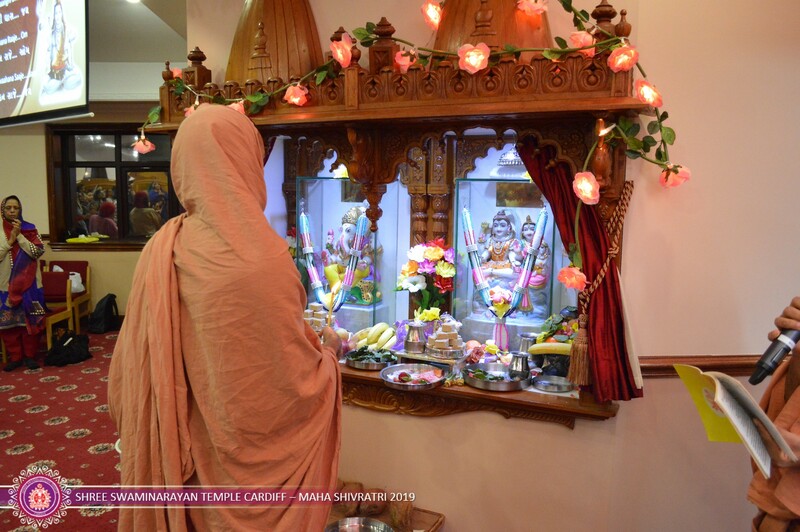 In the evening Satsangis would dress in their finest clothes and visit the temple for darshan. 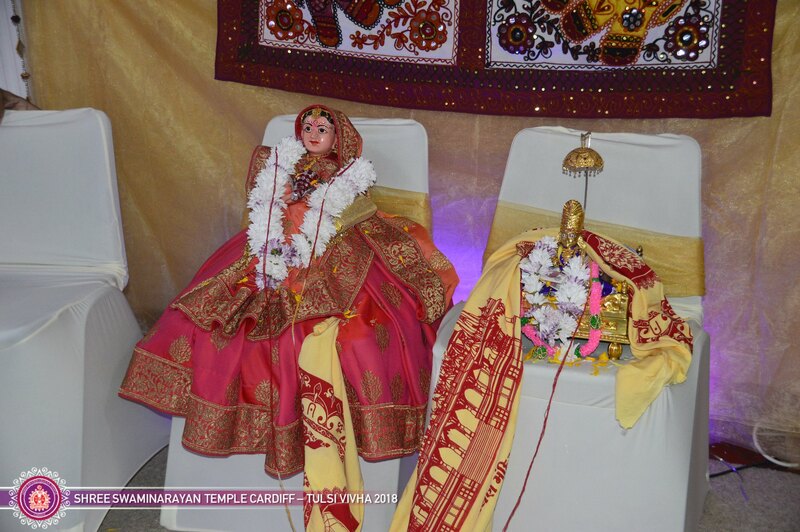 Bal Ghanshyam would be placed in a decorated cradle at the time of birth and offered delicious food. 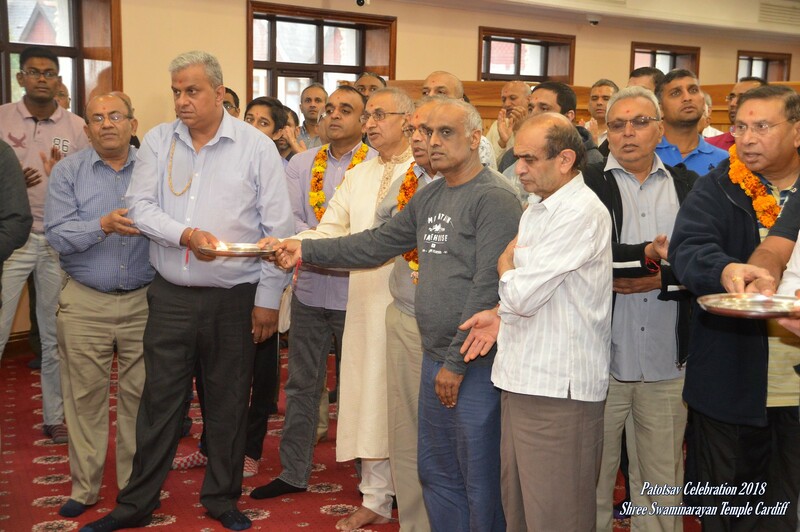 Satsangis then perform Aarti of Bal Ghanshyam, and then accompanied with musical instruments, sing loudly songs marking this wonderful occasion. 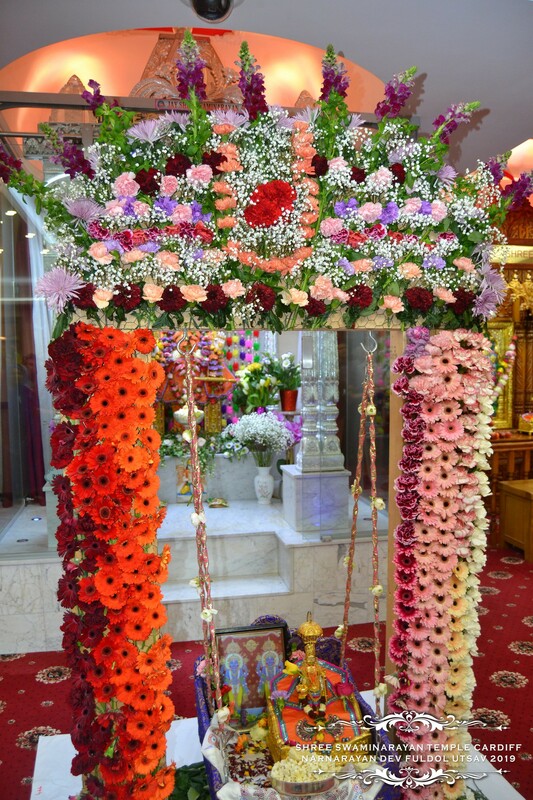 Bal Ghanshyam is rocked in this decorated cradle for a total of 6 days, The sixth day being the day of Bal Ghanshyams 'Chhatti'. Special prashad is served on both of these days; panjorri would be on Ghanshyam's birth and koular on Ghanshyam's Chhatti.